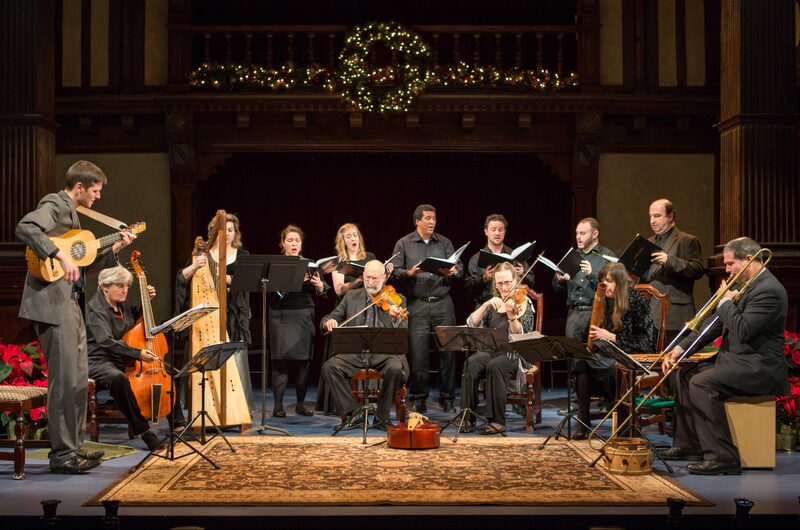 The Folger Consort performs Christmas concerts Dec. 14-23 at the Folger Shakespeare Library. Performances of music for the holidays are plentiful around the country. 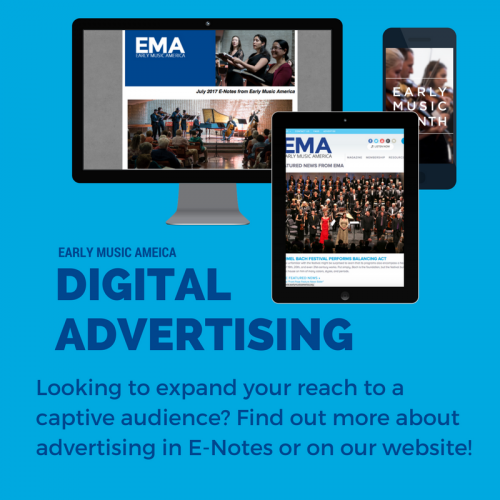 Our nation’s capital is no exception, offering a host of concerts and presentations for all to enjoy. The Folger Consort is a staple in these festive offerings, with their elegant thematic presentations of holiday music. This year, the early music ensemble in residence at the Folger Shakespeare Library in Washington, D.C., will perform 12 concerts titled A Christmas Messe: A Banquet of Seasonal English Music Dec. 14-23. Led by founding artistic directors Robert Eisenstein (viola da gamba) and Christopher Kendall (lute), the ensemble will be complemented by Dan Meyers (winds), Mary Springfels (viola da gamba), Webb Wiggins (organ), and a chamber choir with soprano Crossley Hawn, mezzo-soprano Lucy McVeigh, tenor Oliver Mercer, and baritone William Sharp. 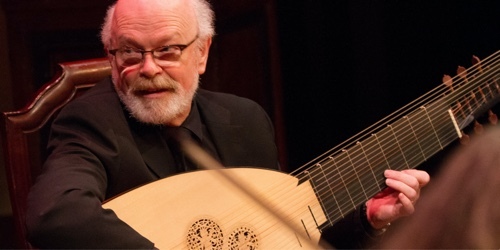 Voices and instruments will join together in concerts in the Folger’s Elizabethan Theatre. Coupled with these performances of English yuletide music will be the rendering of dramatic scenes from the Folger’s rare 1619 manuscript A Christmas Messe, a merry play depicting a showdown between King Beef and King Brawn played by actor Rick Foucheux. He has performed with the Consort and been a longtime collaborator with the Folger Theatre. Among his many roles at The Folger have been Friar Laurence in Romeo and Juliet, Claudius in Hamlet, Malvolio in Twelfth Night, and Henry IV in Henry IV, Part 1. Kendall says one of the joys of the ensemble’s 40-year residency at the Folger Shakespeare Library has been delving into the library’s collections and connecting with its exhibitions. “Resonating with this year’s exhibition, ‘Churchill’s Shakespeare,’ we’ve built a program for our 12 holiday performances inspired by the great statesman’s ‘History of the English-Speaking Peoples,’ featuring seasonal English fare from the Middle Ages to Churchill’s own time — a history of English-singing peoples,” says Kendall. The program includes Kendall’s arrangement of Ralph Vaughan Williams’s Fantasia on Christmas Carols featuring period instruments. Vaughan Williams scored the piece in 1912 for baritone, chorus, and orchestra and conducted the premiere at the Three Choirs Festival at Hereford Cathedral with James Campbell McInnes as baritone soloist. The Consort’s concerts of English holiday music from the 14th to 17th centuries will be presented in historically-informed arrangements for period instruments. The program begins with the earliest known Latin carols originating in England. These pieces feature lively dance-like rhythms and warm melodies in an attempt by anonymous church composers to make the official church Christmas celebrations as appealing as possible. Rounding out the program will be a selection of choral works, including Byrd’s “From Virgin’s Womb this Day Did Spring.” Written for Christmas Day, Francis Kinwelmersch’s reverent text was set to music as a part of Byrd’s “Songs of Sundrie Natures” (1589). 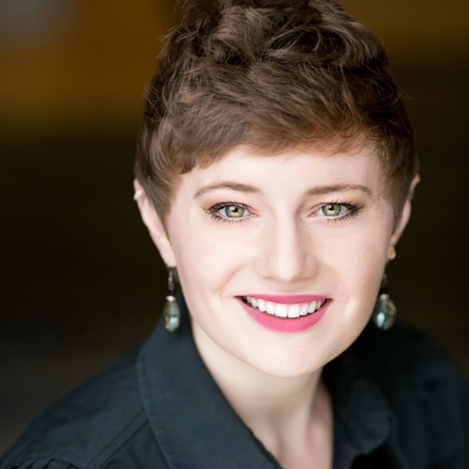 Crossley Hawn, who has appeared as soprano soloist with such ensembles as Cathedra, The Cathedral Choral Society, and The City Choir of Washington, says she particularly enjoys performing during this time of year. For ticket information about A Christmas Messe, go here.